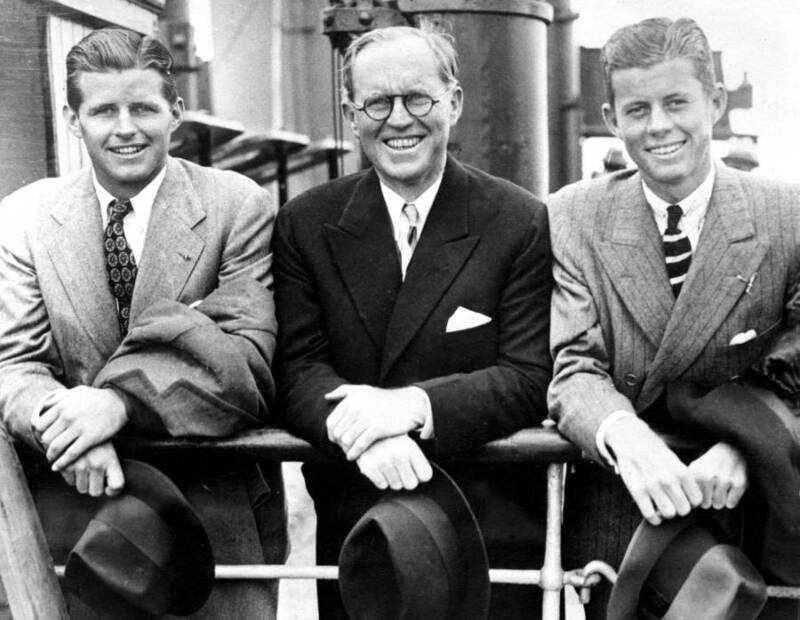 Joseph Kennedy Sr., JFK's father and the patriarch of "America's Royal Family," left behind a complicated legacy, including anti-Semitism and Nazi sympathies. Harris & Ewing / Library of CongressJoseph Kennedy Sr. in Washington, D.C., circa 1940. 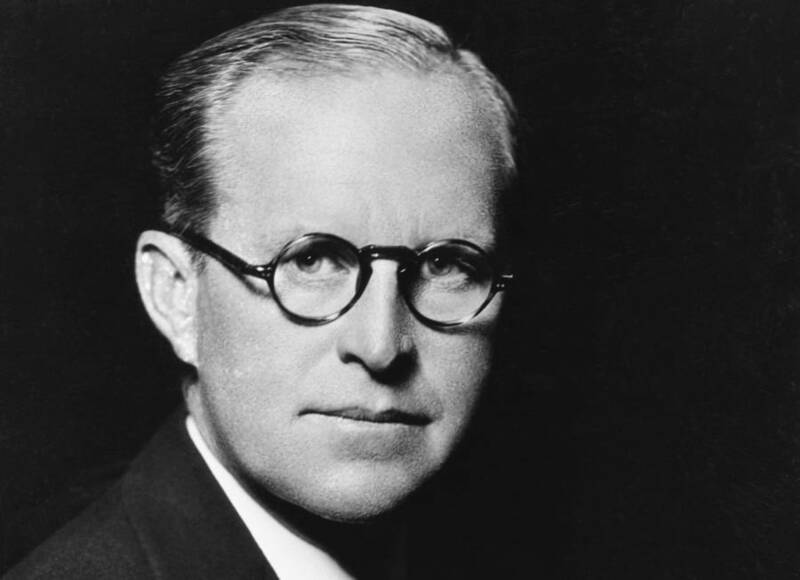 In 1928, Joseph Kennedy Sr. sold two of his small film studios, creating RKO Pictures, best known for allowing 24-year-old wunderkind Orson Welles to make Citizen Kane, the revered film chronicling the rise and fall of Charles Foster Kane, an illustrious yet treacherous American magnate. But Joseph Kennedy Sr.’s own roller coaster of a biography trumps even the fictional Kane’s in every regard, from his hand-over-fist stock market days to his persona non grata period as a failed World War II-era diplomat, forever tarnished by what many considered to be an unshakable anti-Semitism. Like Kane’s tale, the story of Joseph Kennedy Sr.’s dark side begins at his end, when Kennedy bested Kane even in the pathos of his dying days. Felled by a debilitating stroke in 1961, Kennedy was forced to sit, trapped in his own failing body, as two of his sons, Jack and Bobby, were assassinated in the tumultuous decade to come. All he could do to communicate his grief was cry. For the eight years leading up to his death, in fact, Kennedy was unable to write or speak at all. The assassinations, incredibly, were just the latest in a string of blows to the Kennedy family predating its patriarch’s wheelchair-bound days. For eight long years, Kennedy couldn’t tell anyone what it felt like to outlive his eldest boy, bomber pilot Joseph Jr., who died in an explosion over the English Channel in 1944, engaged in a war that his father virulently opposed. For eight long years, he couldn’t tell anyone how gutted he felt to outlive his second daughter, “Kick,” who died in a plane crash in 1948, or if he regretted lobotomizing and institutionalizing his mentally-ill first daughter, Rosemary, in 1941 and insisting that uttering her name was verboten in the Kennedy house. 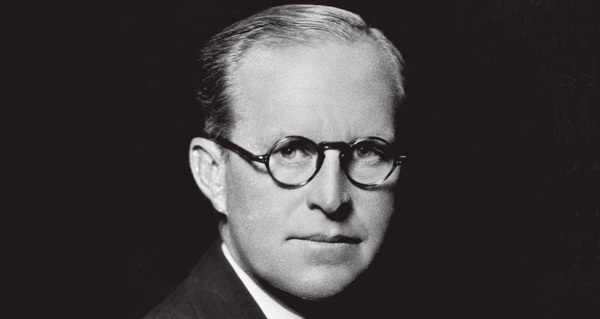 And even if Joseph Kennedy Sr. ultimately regretted his many deeds and statements widely regarded as anti-Semitic, from his years in Hollywood as a studio head to his stint as Ambassador to Great Britain, for eight long years, he was unable to express it. If you’re unfamiliar with Kennedy’s Shakespearean rise and fall, it’s hard to believe the patriarch of “America’s Royal Family” could be an anti-Semite. This was the man, after all, who encouraged all of his children (the tragically discarded Rosemary aside) to enter public service, and lived to see that influence bear tremendous fruit. This was the man, after all, who himself grew up as an Irish Catholic outsider in East Boston, struggling to secure jobs in finance that his less-qualified Protestant banker friends were stepping into with ease. If anyone understood the ignorance of prejudice, you would hope that it would be the grandson of an uneducated Irish immigrant farmer who escaped the potato famine to ultimately sire one of the wealthiest and most respected political families in American history. John F. Kennedy Presidential Library and MuseumFrom left, Joseph Jr., Joseph Sr., and John Kennedy in Southampton, England on July 2, 1938. But Kennedy, paradoxically, frequently found himself on the wrong side of that history. 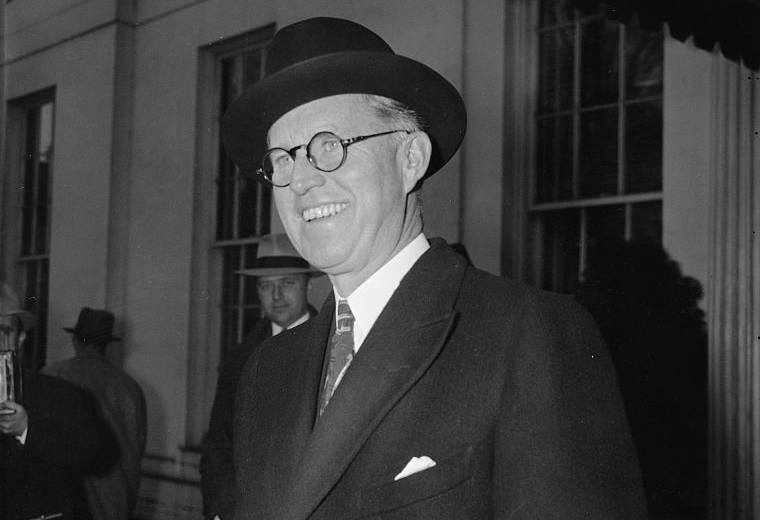 After gaining immense wealth selling short on Wall Street and flipping Hollywood studios — he was a multimillionaire by the age of 40 — Kennedy began his short career in public service in 1934 as the first-ever head of the Securities and Exchange Commission under his longtime friend, President Franklin Delano Roosevelt. The audacious and ambitious Kennedy wanted to parlay the gig into something bigger: a cabinet position as Secretary of the Treasury. Roosevelt, however, knew the famously stubborn and foul-mouthed Kennedy would have a tough time following orders in that capacity, so he said no. When Kennedy then suggested the ambassadorship, Roosevelt laughed so hard that he almost fell out of his wheelchair, according to his son James. But upon further reflection, the president decided that the no-nonsense Kennedy was actually the right man for the job. 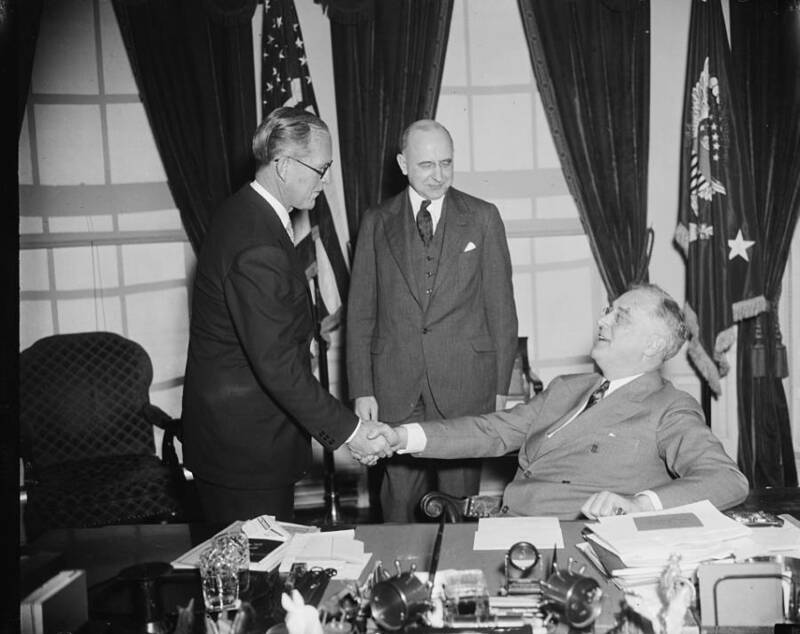 Harris & Ewing / Library of CongressPresident Franklin Roosevelt (right) congratulates Joseph Kennedy Sr. (left) just after Kennedy took the oath as U.S. ambassador to Great Britain at the White House on February 18, 1938. Four years later, it’s 1938. War is looming in Europe. Hitler takes Austria. Hitler wants Czechoslovakia. British Prime Minister Neville Chamberlain seeks appeasement — “peace in our time.” Ambassador Kennedy approves, insisting that U.S. involvement would lead to a second Great Depression at best and utter devastation at worst. According to confidential German documents made public by the U.S. State Department in 1949, Joseph P. Kennedy Sr. met with the German Ambassador to Great Britain, Herbert von Dirksen, in June 1938. Dirksen later informed Baron Ernst von Weizsaecker, State Secretary of the German Foreign Ministry, that Kennedy told him that the “Jewish question” was of vital importance to U.S.-German relations. In November, the persecution of German and Austrian Jews intensifies into the “loud clamor” and horror of Kristallnacht. Working with Chamberlain, Kennedy promoted a plan to relocate European Jews abroad, but failed to inform the State Department. The plan fizzled. Kennedy continued for years to loudly advocate for appeasement, in London and at home, arguing that Britain would be destroyed otherwise. He attempts to set up a personal meeting with Adolf Hitler, again failing to inform the State Department, but it never materialized. In May 1940, Winston Churchill replaced Chamberlain and Britain declared war a few months later. The rest, as they say, is history, but Kennedy’s disgraceful, victim-blaming role during the war is a lesser-known chapter in that history. Harris & Ewing / Library of CongressJoseph Kennedy Sr. in Washington, D.C. on December 9, 1939. By the fall of 1940, Kennedy was a pariah in America, a condition not aided by statements like, “Democracy is finished in England. It may be here.” He then resigned shortly after half-heartedly endorsing Roosevelt’s third term on the radio. Whether or not Kennedy’s ugly remarks and apparent Nazi sympathies stemmed from textbook “anti-Semitism” or not is merely a semantic exercise — history and decency have proven him to be woefully in the wrong. Nevertheless, investigating his motives is an exercise worth engaging in, and Kennedy biographer David Nasaw does it deftly in his exhaustive biography The Patriarch: The Remarkable Life and Turbulent Times of Joseph P. Kennedy. Nasaw doesn’t think that Kennedy was strictly anti-Semitic, considering him instead to be a tribalist of sorts, raised to believe cultural myths — both positive and negative — about Jews, Catholics, and Protestants alike. Kennedy’s most comprehensive biographer argues, instead, that the Ambassador’s admiration for the Jews allowed him to buy into “thousand-year-old anti-Semitic myths” and succumb to “anti-Semitic scapegoating” while not crossing the line into actual anti-Semitism. Bettmann / Contributor / Getty ImagesJoseph Kennedy in New York on July 3, 1934. Believing that Kennedy would have blamed any “tribe” thusly doesn’t make a statement like that sting any less. That Kennedy’s status as a post-war pariah and known anti-Semite didn’t get in the way of fostering and financing some of the greatest political and public-service minds of the 20th century speaks volumes about how common these ugly sentiments were. 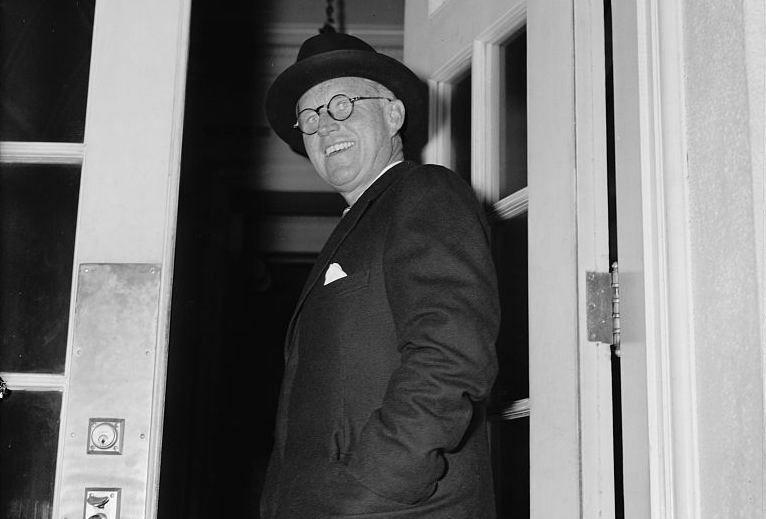 After this look at Joseph Kennedy Sr., explore the dark side of George Washington. Then, discover some of Thomas Jefferson secrets.